Tilting at Windmills | Watts Up With That? If you had told me a year ago that I would willingly move into proximity of a windfarm, I would have laughed. Yet this is precisely what I have done. Wellington’s South Coast lies on the very southern tip of New Zealand’s North Island, and is renowned for the winds that blow here. In fact Wellington is known as the Windy City – or at least New Zealand’s version of it. My new home sits on a hill overlooking Cook Strait (the water separating North and South Islands), at a height of 400 metres. The prevailing winds alternate between northerly and southerly. Rarely do I get anything from either east or west. Yet the views are simply stunning, especially the sunsets! Running roughly due north from the coast are a series of windfarms stretching many kilometres, the closest is less than a kilometre away from me. From my door I count 32 masts, but there are many more to the north hidden from view. Fortunately for me, a huge gully runs between my home and the windfarms, and as the Northerly or Southerly blows, all sound is whisked away by the breeze. I have rarely been aware of any infra-sound. I feel nothing but sympathy for those who are closer and affected. Certainly for those who lived peacefully before having windfarms forced on them. At least I had the choice of living here or not! But here at the Coast where I live, these are baby windmills by the accounts of many, being a mere 47 metres in overall height. I understand to the north lie taller ones with Mill Creek having 26 Siemens 2.3MW wind turbines each 110 metres tall. But where did New Zealand’s love of Windmills start? 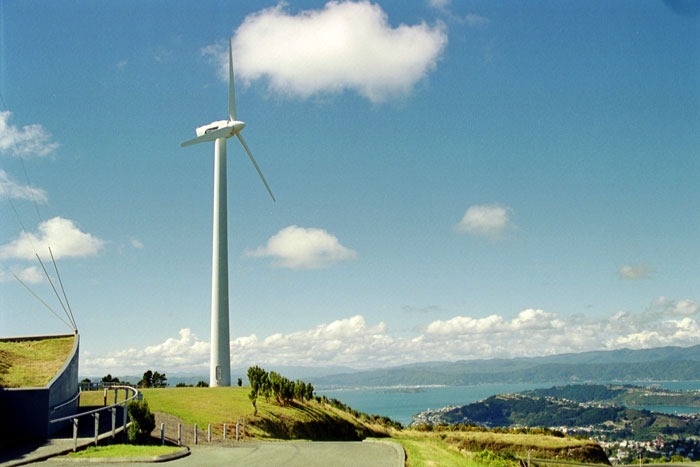 In 1993, Wellington City Council in conjunction ECNZ (Electricity Corporation of New Zealand) installed the Brooklyn wind turbine as part of a research project. The original Vesta V27 wind turbine installed at the top of locally renowned Brooklyn Hill in the Te Kopahou Reserve. The turbine was small by many standards at about 45 metres from ground to tip of the blade. The Vestas V27 turbine has a blade length of 13.5 meters. The turbine tower is 31 metres tall, has a capacity of 225 kilowatts (or 0.225 megawatts) and weighs 22.8 tonnes. It became quite a prominent landmark, clearly visible over the city and attracting visitors by the score. Yet by 2010, 7 years after installation, the turbine failed and was out of action for months. It was finally repaired but by 2016 it really had passed its sell-by date. Surveys showed a surprising 85% of local residents wanted to retain such a landmark windmill at the site, and a decision was made to remove the Vesta V27 and replace it with something bigger and better. The Vesta was on-sold to be reused in a smaller project. The new turbine, an Enercon E44, has a tip height of 67 metres (an increase of 22 metres) and weighs around 47 tonnes.it has a plated capacity of 900 kilowatts. Brooklyn was used as a testing ground for wind energy in New Zealand, yet it seems fraught with problems. I drive past this turbine on an almost daily basis, yet it can be out of action for weeks on end and is constantly visited by maintenance personnel. Another weird thing I have noticed, is that on the calmest of days, when you could drop a feather and watch it fall straight at your feet, the turbine is turning merrily away. At the same time, the local windfarms a few kilometres away lay idle. So just what is going on I wonder? Seen as a draw card for tourists, with the most spectacular views over Wellington, it is promoted by Wellington City Council. Many of the tour operators meeting the Cruise Liners as they arrive with their passengers more than willing to pay to be escorted up here. I have to wonder if we are paying to keep the blades turning just to impress tourists? Just sayin! Nonetheless, Brooklyn was, and still is, seen as the posterchild of modern-day wind energy generation in GodZone. That despite its low delivery rate. Add to that the fact that we frequently get windless days. But the majority of the time during the winter months at least, the winds can be pretty ferocious. But back to my neighbouring windfarms. Local windfarms making up this series in Wellington that I know of are Long Gully, Terawhiti, Makara and Mill Creek – with more planned. 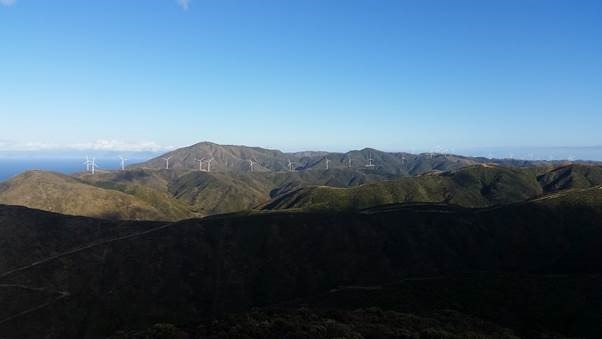 RES spent many years trying to obtain consent to construct a huge windfarm in one of our last remaining Regional Parks at Akatarawa – but everything is stalled at present and local opposition has been stiff, including one Court case. My name is proudly on the list of speakers in opposition. Whilst I retain fond memories of this area, having been introduced to the ruggedness of the location nearly 30 years ago, I can’t help but feel the area is despoiled for little or no benefit. Indeed reading some posts I suspect that these actually add to CO2 emissions rather than diminish them. Couple that to the fact that they lie dormant so many times that one has to wonder where the energy is coming from. New Zealand is blessed with a huge Hydro reserve and is exploiting Geothermal Energy in the central North Island volcanic region. Ironically NZ government refuses to recognise either Hydro or Geothermal as “Renewable” – if they did we would climb the international scales significantly. So this headlong rush to despoil GodZone’s once idyllic landscapes continue unabated. However, it may all be changing as New Zealand has just elected a coalition Government with the Greens holding significant sway. So to answer the question – Why Move Here? 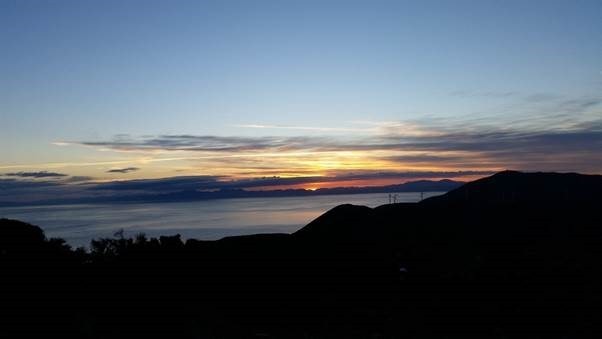 Well, I have superb views with stunning sunsets, I am fortunate that the windfarm doesn’t bother me with infrasound although it is an eyesore. Couple that with the fact that I enjoy the remoteness this location affords – after all I am 8.8Km from the nearest tar seal!!! I also fell in love with the area many years ago before the windfarm was even thought of, so I consider myself very fortunate indeed to live here and completely off-grid to boot! February 19, 2018 in wind power. If it is spinning is very light wind, it clearly means there is no EMF load on the generator (no resistance to turning). Either the generator circuits are open, or (more likely) the transmission has disengaged the slower turning wind turbine shaft from the generator gear box. So the turning windmill is indeed simply for show. …even spinning when there is not a single breath of wind – now that’s a quandry! Probably to stop seized bearings and warper bearings from staying in the same position. “not a breathe of wind” at ground level does not mean there is “not a breathe of wind” at 100m . However, I have read that the static load on the bearings is so great that they need to be kept moving. I don’t know the accuracy of that claim, or whether it is universally true for large installations. BTW Andy , if you are going write articles about these machines you should at least learn what a wiindmill is: it is a mill, something for milling or grinding grain or similar. What you are discussing here are wind turbines. Or perhaps they’re running a small electric motor to keep the blades spinning and generating power. With the subsidies and high power rates, even with no wind they’re still making money. …but it’s not about the money, it’s about saving the planet…that’s right, I forgot. It’s called brinelling and is quite a bit of an issue especially the forces on bearings from wind at the tip of the blade. So, are you saying a wind turbine with a gearbox does not “grind” gears to make electricity? Greg February 20, 2018 at 12:35 am: They grind alright; they grind the faces of the poor. Well the force from the wind is one thing but clearly that does not apply when the rotor is not turning. The problem is from sheer weight of the generator and the blades when NOT moving. I work as a maintenance electrician at a steel plant. Brinelling is a real problem with motor and generator bearings. We have had them fail while sitting on shelves in our storage areas just from building vibration. It has happened enough that we actually have a work order that someone goes around in the storage area and rotates every electric motor and generator rotor once every month so the bearings don’t fail while sitting on the shelf. We have thousands of various motors and generators in storage so this work order takes several days to complete. You see it all the time here – not a blade of grass moving, indeed the only things in sight that are moving are the wind turbines. It all becomes a little less murky when you notice they’re all turning in synch – so it’s not because there’s a lot more wind 100′ off the ground; your kids could fly a kite up there (nowhere near the turbines, please!) and see this for themselves. AC is the quasi-universal world electricity standard; but two alternators must be in additive-phase or they’ll cancel each other out – and produce no power, either of them. So the turbine rotors, being as big and heavy as they are, can’t just start and stop willy-nilly; there’s no way they’d be in phase. What I take it to mean, is that the turbine operators figure there’ll be wind sometime today – so they spin the turbines up with electric motors, synch them and then wait for wind gusts to come-along; on truly windless days the turbines sit idle. Wind gusts are siphoned-off by the turbines, and stronger gusts cause the blades to adjust their angles to take them in – do they? – I’m unsure whether the turbines feather – or increase / decrease the excitation on the alternator – very rapidly, many times a second – to siphon-off more or less wind, producing more or less power at the same rotor speed – very hard on the bearings, and a major contributor to the unstable power production the grid hates so much. But the rotor speeds and positions are critical if the turbines are to remain in-synch and turn-out the right Hz. Too much wind? – the turbine must stop; and there are many videos on youtube showing why. Too much wind, the blades flex – they’re only fiberglass after all – and if the turbine is still turning, eventually they’ll impact the tower, shatter themselves (causing an unsurvivable out-of-balance condition) or chop the tower down. Matt Bergin- I love the extra snippets that we learn here on WUWT – I’m sure I could have read that elsewhere but I would never have thought to look. There are diesel generators onboard “mills ” at sea to keep the blades moving when the wind drops. The nacelles need to untangle every so often so power is needed from the grid to do this. They are not wind turbines, they are windelecs. How about whirligigs? After all in terms of ‘saving’ the planet that’s all they are, very large, very expensive toys put there for the amusement and enjoyment of the never quite grown-up greens to help them dispel their well-deserved feelings of inadequacy and feel good about themselves. I am aware of a Supermarket in the town of Lincoln Canterbury, that I have seen running at least two small windmills. I was told that these were part of a deal made in order to attain the resource consent for the whole private retail initiative. They also run suspiciously fast on calms days. If this story is true, it shows the local body of Lincoln which would be the Selwyn District Council, is happy to support the unproven Anthropogenic CO2 causes Global Warming hypothesis by bullying its constituents in such a way. Or the transmission is connected to a little treadmill with a kiwi running around in it. No, they have little cages in the support tower where they imprison climate deenyerz and make them peddle as penitence. Emerson turbines have no gearbox , use no rare earth permanent magnets. The load they present to rotation would be minimal at speeds not producing power. True. Wind energy converters convert increasingly scarce taxpayer dollars into subsidies for their wind turbine sponsors and builders, who then donate part of their subsidies into political donations to the wind turbine politicial class, all for the edification and power of the carbon futures market bankers. Who arrange payments for their carbon futures market creators and benefacvtors, the CAGW alarmist astrologist academic laboratories. What if the Emerson efficiency, weight, cost of materials, and value of its (rarely-produced, subsidized) electricity? Just be glad you are not a bird. Yeah the base of all these towers are littered with dead kiwis which flew into the rotor blades. LOL. Actually since Andy is not in the thick of it , it would be interesting if he did some field work and counted corpses and took some photos. It would be good to have some ground truth about the piles of dead birds and bats. Greg .I see no sarc tag so I have to spoil your day or night .Kiwis are flightless nocturnal birds . When the sarc is so obvious that anyone with an IQ greater than a turnips will “get it” then no tag is necessary. Just got back from a AU NZ cruise (Mostly NZ) Milford Sound on the South Island was fantastic. We went up the east coast and hit all the tourists spots. I wasn’t disappointed. But what I wanted to say is from my collections of tag lines and other smart aleck remarks about wind-mills. NO. Wind mills are 14th century technology used for milling grain : hence the name. These are wind turbines which did not exist in the 14th 15 th 16 17th 18th and probably 19th centuries because we had not discovered electricity. wind mill are much older than 14th century, and where used for all sort of work involving a rotary motion. Pumping water, most noticeably, by turning some Archimedes screw. Or turning an electro-generator as soon as electricity appeared. “turbine” is just a modern name for a broader class of machines: “rotary mechanical device that extracts energy from a fluid flow and converts it into useful work”. Old designs are just as “turbine” as the new. I call these are just wind derricks. Although they may be better used to grind grain than to try to produce electricity. Turbines? That’s an insult to real turbines. VERY slow-speed propeller-generators would be the most accurate term. But that’s a mouth-full, so I just call ’em pinwheels, like the things they sell at toy-stores. These are wind turbines which did not exist in the 14th 15 th 16 17th 18th and probably 19th centuries because we had not discovered electricity. And I thought Benjamin Franklin knew about electricity in the 18th century. Remember his kite experiment to discover if lightning was a form of electricity? Don’t we still use his standard–that current flows from positive to negative? Interestingly in the domesday 11 to 13 century book it is recorded that windmills were not taxed as highly as water wheels as they were considered a relatively unreliable and feeble source in comparison. So clearly even then there were regarded as a second rate solution to an energy problem. I enjoyed reading your story about living with windfarms. I’d be interested to know if, with Wellington being battered by ex-cyclone Gita, the turbines are turning today. Or is it too windy? In rural Ontario people were not given the choice and the safety, security and pleasure of their homes has been ruined because their homes have been surrounded. In effect, their environment has been ruined. Despite honest and repeated reports of harm from noise, low frequency noise and infrasound the turbines are still running. I believe there is a twin to the Brooklyn turbine near downtown Toronto…clearly visible on the lakeshore from the motorway into the city. 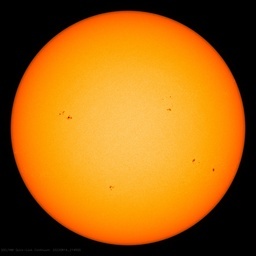 It has often been suspiciously active on windless days for many years (decades, actually). If you want to get away from yours come and visit another geologist up in the Coromandel…bird chopper free (but for how long??). You’d be welcome at Stargazers B&B (stargazersbb.com). Well done, Peter, well done! No apologies necessary; the original is not exactly immortal. a sight as lovely as a road. But roads are made by guys like me. The original Chicago Sun Times column “Tree Breaking Ceremony” can be found reprinted in Up Against it. I visited NZ in 1979 and 1989. For me, it would be a moment of sadness to see what has happened to the unique scenery of NZ! Fortunately for me, a huge gully runs between my home and the windfarms, and as the Northerly or Southerly blows, all sound is whisked away by the breeze. Sounds about as robust as climate science. Greg F That is very likely as years ago I lived on a farm at Kopuaranga.and the water pump (Petrol motor) was about a mile away and we only heard it at the house when there was a southerly blowing. government has mounted an ongoing investigation of what went wrong. Among various items being investigated are reports that some of the power was generated at night, possibly by array owners using diesel generators to further expand their ‘solar’ earnings. Andi: There’s something wrong with the dates. 7 years after installation in 1993 is not 2010. The wind farm of nine 105m tall turbines near me is causing massive noise problems to nearby residents. Fortunately I am 3 miles from the nearest turbine and can neither see nor hear it. The wind farm was objected to by all the local parish councils and was unanimously refused planning permission by the district council planning committee. However, the developer appealed the decision and after a prolonged public inquiry, a single Government-appointed Planning Inspector from 100 miles away overturned the decision of the council and granted planning permission (so much for Localism). The only people in favour of the wind farm were members of the local Green Party, but its members all live many miles away. Needless to say, the wind farm is a massive blot on the landscape and it is visible from two National Parks. I’m confused…who is the author of this post? Andy May, Andi May or Andi Cockroft? Perhaps the header needs to be corrected. New study proves that the Infrasound from Wind Turbines causes alterations in the Psyche of normal humans. The constant thrumming causes a form of Reverberation Psychosis which leads to Climate Realism. The only way to “Cure” this Climate Denial Psychosis is to eliminate the proliferation of Wind Turbines and the infrasound they produce. Actually wind in NZ stands on its own two feet. We get about 120% of the utilisation of the global average (two NS oriented islands in the roaring 40s and this site is on the strait between the two) and matched with hydro it causes no issues with integration into the wider system. Where Andi lives is out of the way and no worse than having any other form of industrial development associated with it. The land still gets to be farmed, and there isn’t a big lake there instead. Thanks HAS, I was just about to post that very link. 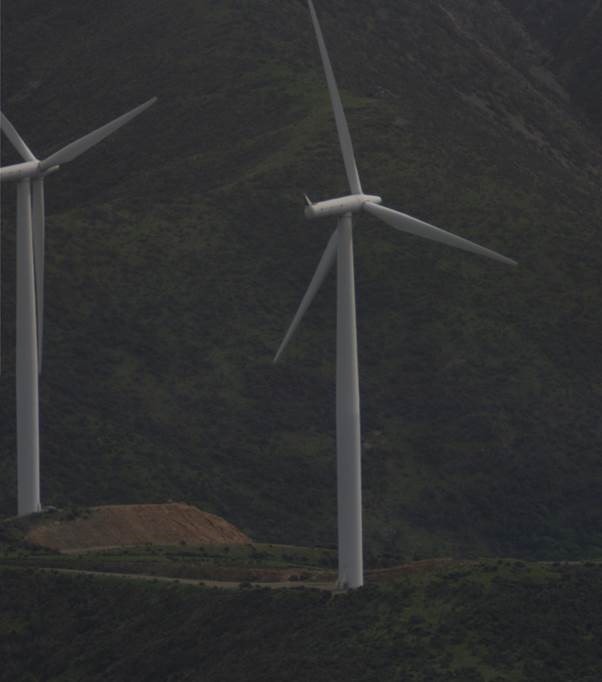 NZ consistently has around 80-85% of its electricity generated from renewable sources. It’s a shame when inaccuracies like that appear in an article. Did you see the actual %age that was wind in 2014? Wow I am suitably impressed. not many industrialization projects take up kilometers in area and reach up over 100 meters into the sky. And wind is actually horribly undepwndable, costly to maintain and in its normal operation kills birds and bats. Industrial development doesn’t occur on ridgelines. It occurs down in the valleys where people are already living. They’d by less of an eyesore if they were painted a darker color than white. I guess any color is darker than white. Go for a nice, soothing, sustainable low saturation green. Yes, Mike. Why paint the damned things white? They are an eyesore, and it must be harder to keep clean. Out at sea, white is also bad, as they may be nearly invisible in rough weather when they are most dangerous. In the UK most turbines are coloured off-white, which “experts” have decided is the least obtrusive colour for most weather conditions. As a licensed private pilot I believe they are painted white for a reason—-So I and others don’t crash into them!! As most are installed on hill tops they create an impediment to flying. Most Sectionals (maps that provide flying corridors & contours) usually indicate towers which have guy wires for support. Many unwary pilots have lost their lives by entanglement. They represent a distinct hazard to airmen as we are called. Notams ( NOtices To AirMen ) are issued by the FAA when vertical interferences are installed, e.g., Windmills, in between map revisions. Have you ever noticed that most planes are painted white? That’s so we don’t run into one another during visual flight rules—another more complicated set of rules not germane to the discussion. So what Carbon is saying is that when a pilot crashes it is the ground’s fault. If the crash site is a school yard it blame the school children. I once heard a lawyer defending a drunk driver blame the dead children for distracting the driver by playing in [their] yard. Probably the wind mills confuse planes with birds. Driving up the west coast of Australia, I noticed many trees growing sideways. Thats actually horizontal after a few feet vertical, not just at an angle. I believe that such trees are a very good indicator of the viability of wind turbines. Most places are not at all good. That’s absurd. They can’t write their own language to suit their political aims. Where did you encounter this argument? “They can’t write their own language to suit their political aims. Have you been asleep ? It’s what politicians have done every day for 1,000s of years & what climate scientists have done for the last 30 yrs, but they also invent their own physics to re-invent history. Australua’s BOM writes its own temperature reading standards so as to “enhance” the W of AGW. Writing energy standards to “enhance” wind is nothing. Hydro is not considered renewable by California either. Oregon legislators came out with a plan called 25 in 2025 or 25% renewable by 2025. Roughly 46% of our power is hydro… When implementing this plan they listed hydro as non renewable energy, the excuse being dams harm salmon runs. Face it, greens hate hydro and are agitating for us to remove all or most of our dams. Due to the massive amount or water-limited hydro, New Zealand is one of the few countries where wind power almost makes sense. If you use your hydro as a huge backup system – like a battery that gets recharged by rainfall – then you can get a low or zero carbon grid that is perhaps twice the size of a hydro-only one. The other alternative is the Swiss mo0del – to use nuclear power for baseload and hydro to cover the peaks. Its cheaper and more sensible of course, but then New Zealand is full of snowflakes these days. Bad Creek Hydro in Salem, SC (US) uses the Swiss model. Power from the Oconee NPP is used to pump water from Lake Jocassee up to Bad Creek reservoir during the night, then hydro is used for peaks during the day. I’ve heard that the water level can change 100′ in a day. Bad Creek drains into Jocassee, which drains into Keowee, which drains into Hartwell. All of those lakes have hydro. Yes, pumped storage can be useful, and productive. But it is very, very limited by the very, very few places where you can actually build (dam) the two lakes required with the (cheap yet available) extra electricity required to pump the makeup water back uphill each night, or each period of low need. The entire southeast VA-NC-SC-north FL-GA-AL-MS-LA sits under the Bermuda high for months on end = no wind turbines are productive. Unless power utilities already own vast swaths of land in the mountainous areas of NC/SC/VA, more hydro is out of the question there because of increased property values due to a large influx of retirement baby-boomer cash. When the discourse on any topic evolves (or devolves?) to the level that it pits “reason” against “dogmatic faith,” reason usually has a tough time surviving, much less prevailing. As humankind, our survival instincts cause us to imagine eminent catastrophe where there is any suspicion that catastrophe can be caused, giving entre’ to dogmatic faith as opposed to providing support for reason. Every reasonable evaluation of CO2 as a cause of ‘CAGW’ indicates that it is an imaginary ‘monster’ that is haunting the thoughts of some who harbor unreasoning, dogmatic, faith-based, fear-motivated beliefs It is unfortunate that many of the “dogmatics” are politicians as well as others who find themselves in positions of power and influence. You’d think with 80-85% power derived from “renewables” they would have cheaper power in NZ. Nope! Not only that, it is taxed with a GST of 15%. All purchases bar financial transactions are taxed 15% in NZ. It has no impact on the relative price of energy (which is the strength of universality). Electricity prices are in the middle of the pack compared with other countries. Lived in Wellington for about 10 years, beautiful place and people. Been to that Brooklyn turbine many times, and took a disabled friend from Napier there too. If I had a bit of money I would do exactly what Andi has done. The wife and kids might object however. Personal note: Worked with Andi in Wellington and we’ve been offroad together too…as well as him helping me fix the steering track rod on my ex-military FFR 109 V8 Landrover one day. Good times. In England, for many years, the windmill by the M25 at the headquarters of a windmill firm was spinning during the rush hour but not at other times, whether there was any wind or not. I wonder how much power it took to spin the blades as an advertisement. Interesting! I take it that you are talking of the one at Green Park near Jct 11 at Reading? It had usually been turning slowly when we drove past it but we’ve not been there the last few years. My big hates are the ones polluting the skyline in Cumbria and Scotland but there are many others and they are wreckers of the landscape. No, Renewable Energy Systems at Kings Langley. Junction 11 at Reading is the Madejski Stadium/Green park wind turbine. Many pictures online. “Tar seal?” Is that Kiwi for paved road? Yes,exactly. Also known here as “bitumen” or “sealed” roads. “Metalled” roads are what others call “gravel roads”. Wind turbines are called “ugly” here. They are all going to look really good in Landfill in 20 years time. I wonder if we have a case of two different people with very similar names here. I suspect that Andi May, the author of the article, is not the same as Andy May, the editor that posted the article. I also suspect they are from different countries. I find that single wind turbines are often quite appealing visually, especially when sited on a collection of similar hills. Not so for windfarms, which destroy the look of a landscape. NZ is the exact opposite of Australia when it comes to electricity data availability to the public, oodles of it in Australia, zilch in NZ. In the bad old days of the Soviet Union, it was rumored that compressed air was used to keep the big red flag atop the Kremlin flying straight out. So, given the Stalinist tendencies of the AGW/CC crowd, my first reaction when I read that the Brooklyn turbine was spinning even when the air was still in the city and at other turbine sites was that the Brooklyn turbine was being artificially made to spin. Fir me, nothing demonstrates the irrationality if self declared “greens” than their willingness to destroy the environment with windmills in order to save it from a predicted problem that does not actually exist. It’s more than a little bit strange, isn’t it, hunter. I think one of the consequences of no longer utilizing fossil fuels to power our prosperity producing economic enterprises could be a re-institutionalizing of institutional slavery. Along with a slide backwards to lifestyles that are more ‘primitive’ over-all. They can try to spin the numbers any way they want, but the fact remains that wind energy is expensive and unreliable, and the only reason they have been pushed is because of the “carbon” sc@m, and because they make sheeple feel good. Because wind energy is helping “save the planet”. In decades hence they will become idle, decaying monuments to an age of Stupid. With millions of dollars of taxpayer credits they have created “Giant Pinwheels”. It’s art by insane leftists and so called “greens”. Wind is the answer to world energy production. If you believe that then I have a windmill in Brooklyn to sell you. What I find interesting about wind power is that, as a general matter, the public seems to support, or at least does not seriously object to, wind turbines in wind farms or in smaller clusters. This is particularly so if the wind farm is cited remotely – people do not like them in their back yard. There is a large wind farm in northeastern NC (near Elizabeth City) that you drive by for several miles on US17. It took a while to get it permitted because of its sheer size, but it has simply become part of the landscape. There’s a certain romance about wind turbines. It seems to harken back to the old Dutch windmills which have always been a romantic symbol. People just seem to like them. If you drive through North Texas on I-40 you’ll see thousands of them. And people just seem to accept them. Of course, many people object to them on many grounds, either because of appearance, supposed inefficiency, as a bird killer, or simply by contrarians who reflexively object to any “green” energy system. It’s difficult to find a single supporter of wind power on this blog. My only point is that wind turbines are not viewed by the general public as simply a brainchild of green politics. And neither, interestingly, are solar farms, which of course are much less visible. Both seemed to be viewed as reasonable examples of “cleaner energy” solutions. If we had a public referendum they would be overwhelmingly favored. My guess is that we’ll see a lot more of both. Interesting. So you’re saying people actually like paying exhorbitant prices for unreliable energy which additionally has its own environmental issues, as long as it’s “green”? I highly doubt that John Q is really that dumb/ignorant. You are probably right about wind turbines having great support, at least among those not living anywhere near them. But that’s because the global warming armageddon scenario has been so successfully sold, and who would not wish to do his/her part if convinced that we will soon self-destruct unless we do exactly as instructed. All negative positions about wind turbines then crumble, regardless of all contrary evidence. I’m not saying that acceptance of wind energy is evidence-based. It’s hard to find an “evidence-based” treatment anywhere. What I am saying is that once you remove yourself from the echo chamber, people’s opinions on issues like this run the gamut, sort of like they do elsewhere in the real world. “Exhorbitant prices for unreliable energy”? Well, in NC energy prices have declined for residential customers. Subsidies may have something to do with this, but whatever the reasons, the angst level in NC about wind and solar are quite low. Republican legislators were the only group that seriously opposed it, other than a few NIMBY folks in the area. Huh? Where do you live in NC, scraft1? Here in the Triangle, our electricity prices have been going up, not down, thanks to the exorbitant cost of North Carolina’s destructive Renewable Portfolio Standard (RPS). Wind power does generate a lot of political lobbyists to keep the money flowing. We need to find out if the lobbyists for industrial scale wind are connected in any way to criminal groups. Italy and Spain have exposed such connections. Had to look up “tar seal”. I am interpreting it as “paved road”. It never ceases to amaze me what our more “British” speaking allies have as a lexicon for common usage. Does look like a beautiful site, though, in spite of the bird choppers. Here in the US our southern brethren also have some language which at times requires interpretation. G’day. Or is that more Australian? Really! Somebody has a low standard for natural beauty judging from the pictures. Recently someone called for a daytime TV talk show for women with a very liberal bias to be banned from broadcasting. It takes no effort to not turn on the idiot box and not watch something I do not like. Wind and solar is based on many in the public not liking coal, nuclear, or hydro. Almost all of our electricity is based on good engineering judgement. However, at least in the US, providing electricity is a public service. So blame your neighbors and not engineers at the power company. As a mechanical engineer I think modern wind turbines are an engineering marvel. I think they are beautiful along with nuke plants, coal, plants, and dams. My advice for enjoying life is to make an effort to like things you do not like and avoid things that irritate you. For example, we love camping along the ocean but do not like RV parks. Along the Pacific Coast highway the state California has posted signs that say no parking 2am to 6 am. State parks prices are outrageous. There is a long list of California politics I do not like. Texas, Oregon, and Washington State have yet to criminalize enjoying nature. I think semiconductors are a modern marvel including the cost curves for them. Haven’t many wind-farms in Canada been forced on the land-owners despite their protests? Or at least right next to land-owners where their protests are ignored? Beng maybe you missed ‘at least in the US’. While I have never heard any noise from from a wind turbine, everyplace I go there are folks with leaf blowers, chain saws, motor cycles, air planes taking off, coal trains rumbling by. Not to mention aquaking birds. Dutch windmills are quaint and attractive. Modern windmills, while not technologically advanced to any substantial degree are very expensive, ridiculously distracting , with the most gigantic environmental footprint of any power technology, and mostly a really stupid way to make unreliable electricty, with or without expensive batteries, which mostly serve to notify the grid that wind and power will shortly be declining, so the gas turbine generators better get spooled up fast. c. 1300, from wind (n.1) + mill (n.). Similar formation in German Windmühle, Dutch windmolen, French moulin à vent. Verb meaning “to swing the arms wildly” is recorded from 1888. Related: Windmilled; windmilling. A poignant description. More today than ever before. I think most NZers would use this as one word, especially as a verb. Chambers dictionary defines TARSEAL as NZ’s version of TARMACADAM. As a layman I apologize in advance if these two questions have been addressed or are simply foolish. One of the popular expressions from Chaos theory is the butterfly effect. An early version of this says that a butterfly flapping its wings in Brazil can set off a tornado in Texas. I’m wondering if this might apply to the green dream of global wind power. To power the world with wind energy (ignoring the nearly impossible practical hurdles) would require many millions of wind turbines. That’s a helluva lot more than a butterfly. My question is whether the butterfly effect applies here; if widespread wind power would alter or disrupt global wind circulation; if the impact could be described and/or estimated; and how this might influence global climate. Similar question for solar power. Say we build and install enough solar panels to theoretically power the world. (Again forget the practical hurdles.) Would we then capture and retain more energy and heat from the sun? Would that extra heat/energy be enough to alter the climate system, or is it so trivial we can safely ignore it? I’ve wondered about this also. A wind farm will absorb a huge amount of wind energy. This will definitely affect the wind speed. Whether it would be enough to affect circulation generally I don’t know. Hopefully we’ll learn more about this before we commit to a massive windfarm ramp-up. Sufficient numbers of wind driven electricity generators to supply electricity to the soon to be eight billion humans on the planet would likely stop the winds from circulating the Earth. Consequently, the drag of the static atmosphere would slow planetary revolution very slightly, causing the Earth to veer out of its orbit & head towards the Moon. The increased gravitational effects on the Moon would change the tides causing all the seawater to heap up on one side of our planet & thus lopsidedly slingshot us into a collision with the sun. I understand that turbines have to be kept turning, otherwise the shaft takes a set, hence the blades will be moving even if there is no wind. (There is a motor for the purpose, it seems.) The brinelling is something new to me, but that is why I spend so much time on WUWT. You are optically braver than I am. I find the visual assault of spinning blades to be intolerable. On the way to the Eclipse this summer via Casper, WY, I can guarantee that not a single wind turbine of the more than 100 was spinning NW of Laramie (Medicine Bow? ), and on the way back 8 hrs later there were maybe 10 spinning. Do they really need to spin? As I ask my friends —who is generating the electricity! You amaze me. With New Zealand’s abundance of locations for hydro why would they bother with expensive, unreliable and generally bothersome wind farms? The explanation of the turning blades with no wind is that the turbine is drawing power from the grid in order to prevent the turbine bearings from developing flat spots. There have been several attempts to create more dams in NZ, either for power generation or irrigation projects. Almost all get stopped by the green mob. They rarely object to more bird choppers though. Similar problems exist for those wanting to construct useful things like mines, highways, power transmission lines,etc. NIMBY is big here. As is BANANA (Build Absolutely Nothing Anywhere Near Anything). Andi, I’m a Manawatuite, or is that ‘tuvian’, I’m not sure? 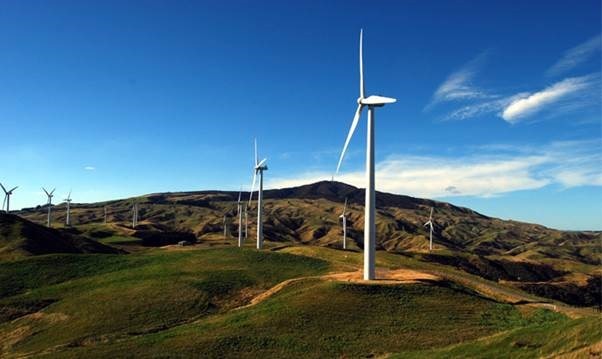 When the first windfarm was set up on the northern Tararua Range by the Manawatu Gorge it was seen as a novelty. Locals got it that our province is renowned for wind (in reality most of NZ is windy!) so why not put them there on the least rugged most boring piece of the range. Then the next lot on the northern side of the Gorge came along. Much bigger in every way. Locals became less enamoured by them and resistance grew. A deep divide quickly appeared and it seemed even some in authority were saying enough is enough. New Zealand is rightly known for its scenery and although the Manawatu wouldn’t make the top 10 list for beautiful regions in this country, for us locals there are many treasures often overlooked by the casual traveller. The spread of this dominant industrialisation across our landscape has lead many to appreciate what we have even more, and to be not so welcoming to more wind farm initiatives, no matter what the economics may be. Just one point as far as the Manawatus reputation for being windy is concerned. We only have wind records going back to the end of WW II, but in the late 1940’s & all of 50’s the wind run was only 65% of the annual daily long term total of 248km/day and luckily for the wind people since the late 90’s, when the wind farms were first built, the daily mean has been at 118%. How reliable will this intermittent energy source be if we return to the relative calmness of the 1950’s? Our reputation will be in tatters! I say bring it on. The only good westerly is the one that gets rid of the humid northerly. After that they (the Westerly winds) can piss off! Yours, Coops from the Roaring 40’s! Are wind turbines a blemish on the skyline? Depends. I am a 1945’er, born when the horizon was dotted by Chicago wind pumps. Then I used to count upwards of 80. No one complained; they were essential. No motor pumps, even less electricity. The night-time clanging was reassuring that the wind-pump was doing its job. Its an imprint on my memory and I miss them today. It is what one gets used to when young that one readily accepts. Today the night is full of noise; its called modern music, hellish sounds of the modern demented. It is also necessary; its tourism.